What Would You Do With $315B? What Would You Do With $315,000,000,000? What would you do with a $315B investment portfolio? Chances are you haven't thought about it. But that's the "problem" faced by the California Public Employees' Retirement System (CALPERS), the largest public pension fund in the US. An article in yesterday's Wall Street Journal shed light on how they invest that money and what the returns have been. 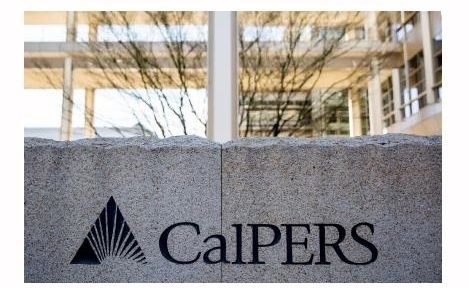 CALPERS breaks out their investments into five "asset classes" -- private equity, public equity, fixed income, real estate, and liquidity. How have they done comparatively? The WSJ article provides us with 20-year returns for each category through June 30th, 2015. Private equity was their best performing asset class, returning +12.3% a year. While not directly comparable, a sensible alternative without the concentration and liquidity risk of private companies are public small cap value stocks. The Dimensional US Small Value Index returned +14.0% over this same period. Their public equity portfolio returned +8.2% per year. This beat the MSCI All Country World Index by 1.1% per year but badly trailed the returns on the small/value "tilted" Dimensional Equity Balanced Strategy Index, which returned +10.7% per year over this period (2.5% per year more). Their real estate holdings returned +7.2% per year, which was far below the +10.9% result on the Dow Jones REIT Index. Their liquidity bucket returned +3.2% per year, the same result that could have been achieved by rolling over 1-YR Treasury Notes. The Dimensional Fixed Balanced Strategy Index, which holds a globally diversified mix of bonds averaging 2-3 years in maturity (so very liquid) returned +4.0% per year. Across the board, even with a sizeable staff of full-time analysts, their choice of the top investment managers from around the world, and their ability to negotiate extraordinarily low fees (the article notes that they've not been very successful at this), CALPERS has not been able to generate meaningfully higher returns than what was available from low-cost indexes in the various asset classes that they invest in. The lesson for you? Even if your portfolio had a 12-digit balance, it's unlikely you would want to deploy it in a way that was meaningfully different from how you invest today: broad diversification across public stock and bond markets, low costs, and a focus on well-documented sources of risk and return (stocks over bonds, small cap vs. large cap, and value vs. growth).